Former Texas lawmaker Beto O'Rourke has previously referred to President Trump's wall as a "racist response to a problem we don't have." He expanded on that sentiment Monday while holding a counter protest to Trump's Make America Great Again rally in El Paso. He also joined the Women's March El Paso in their "March for Truth: Stop the Wall, Stop the Lies," which passed by Trump's event. While the president was explaining the need for a bigger border wall, O'Rourke was trying to convince his audience that there's nothing to fear at the border. "Let's show people there's nothing to be afraid of when it comes to the U.S.-Mexico border," he said, at a speech taking place across the street from the MAGA event. Of course, some would counter O'Rourke's declaration by noting how illegal immigrant crime has torn apart far too many families. Most recently, the Singhs. Police officer Ronil Singh was shot and killed by an illegal immigrant during a traffic stop in Newman, California in December, leaving behind a wife and a 5-month-old son. Trump had Ronil's brother Reggie by his side when he visited McAllen, Texas in January to discuss border security. The president also invited an "Angel Dad" to his rally on Monday. Angel families are those who have lost a loved one due to illegal immigrant crime. The president mentioned them at his State of the Union last week. Dan Ferguson, who joined Trump on Monday, was the father of an El Paso elementary school teacher who was killed by an illegal immigrant while crossing Mesa Street in November. The driver had previously been deported. Let's also not forget Kate Steinle, the 32-year-old woman who was killed by an illegal immigrant while walking on the San Francisco pier in the summer of 2015. 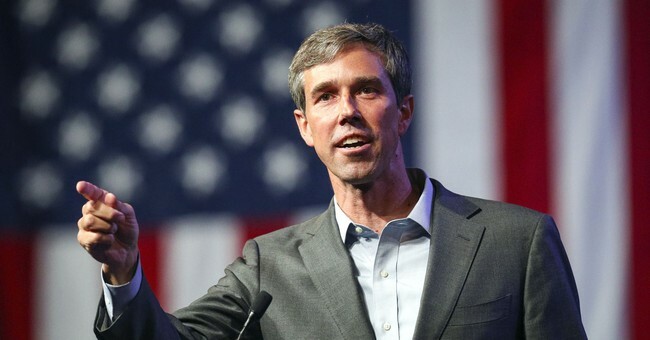 Still, O'Rourke went on to condemn Trump for "taking babies from their moms and dads," referring to the policy of separating families at the border and placing them in ICE detention facilities. O'Rourke did not mention that conditions were nearly the same during the Obama administration. The former Texas congressman continued, calling ICE's treatment of children at the border "cruelty tantamount to torture." He didn't exactly have solutions, but he did know that a wall was not the answer. While most Democrats have refused to pay for Trump's wall, it seems the two sides came to some kind of an agreement Monday night to avert another government shutdown.